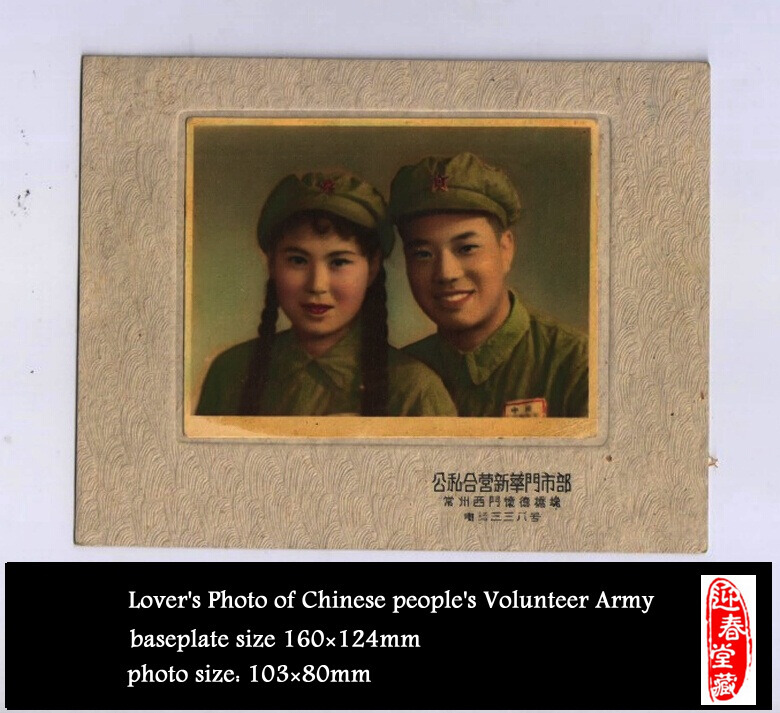 donot tell me you are not know about Chinese people's Volunteer Army. 1950-1953 Chinese people's Volunteer Army had a war with United Nations Command. Arent they actors? The woman on the left looks like the star of the Red Star Women's’ Battalion film. I hope that more can be learned about this couple. Is there anything written on the back?